A Visit With My Aunt Or Who Was This Samuel? I made arrangements to meet with my Aunt Iva. After the usual hugs and greetings she walked me into the dining room where a big cardboard box sat. Inside were an accumulation of old photos and papers my grandfather had saved. She had never seen Samuel Hugh’s pension papers so we began with those. She was not surprised that her Grandfather had been living in Monroe, Iowa during the Civil War. In fact she’d traveled to Monroe and Oklahoma. Unfortunately, she’d found little to add to the story we already knew. No graves has been found matching Samuel’s family. However she had found graves for wives and children of a Nimrod Caple. While we ruminated, on how hard it must have been to lose so many loved ones, we wondered who he was? Were we related and if so, how? At the court house she found deeds for Nimrod plus some for a Samuel Caple with Jacob Caple having power of attorney to sell the property. 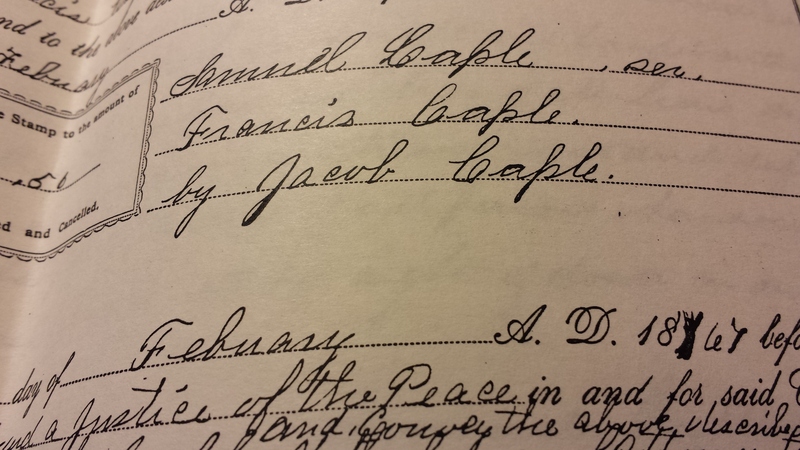 We assumed the Samuel was his son Samuel Hugh Caple. At the end of my visit she lent me the deeds to make copies. That evening I sat at my kitchen table and re-examined the documents. The first deed was for property sold in 1863, the others were for 1867. Both my aunt and I had assumed Jacob was selling land for his son while he was serving in the Iowa infantry in the civil war. But Samuel was only 18. Would someone so young have property to sell? And why didn’t he take care of it himself in 1867? Then I noticed something else. 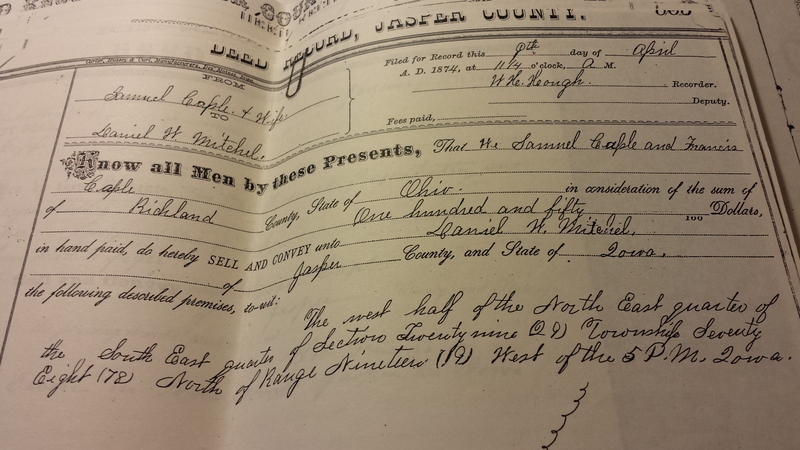 The deeds said Samuel lived in in Richland county, Ohio not Jasper county, Iowa. And the wife was named Francis not Polly. And besides Samuel hadn’t married until 1868. The place, names and dates didn’t add up, this Samuel had to be someone else, but who and how were we connected to him? 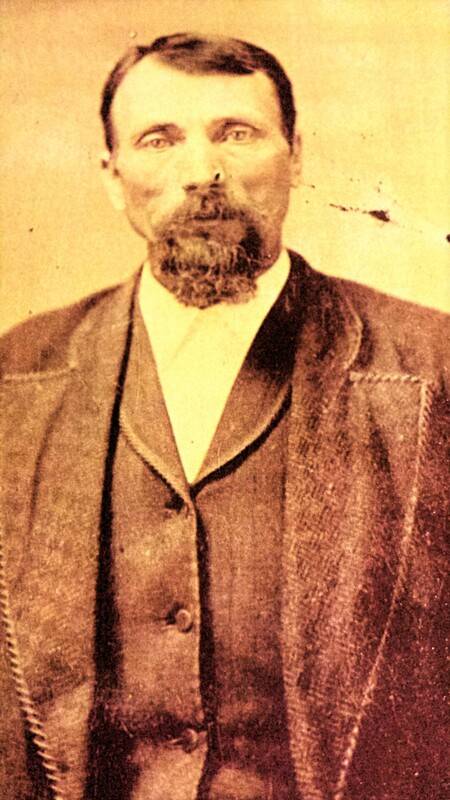 This entry was posted in Uncategorized and tagged family history, genealogy, Iowa, Jacob Caple, Jasper county, Maryland, Nimrod Caple, Ohio, Richland county, Samuel Caple, Samuel Hugh Caple on May 13, 2015 by kwriter13.